Modern Dance is a dance form that developed in the early twentieth century, partly in reaction to the traditional, more highly technical forms of dance such as ballet. While strongly influenced by classical ballet, the movement of modern dance is more fluid and contains dynamic highlights and tricks of jazz dance, including isolations, kicks, and leaps; alternately, many movements are weighted and close to the earth. Students wanting to take Modern Class must also take a minimum of 2 hours of ballet technique per week. Visit our schedule to class information. Elle C. Jones (Modern) is a choreographer, dancer, and teacher originally from State College, PA where she received her pre-professional training at the Arts Conservatory of Central PA. She continued her dance studies at University where she was selected to dance in original works by Ryan Corriston of Doug Varone and Dancers, as well as Stephanie Miracle and Mark Wayne. In 2015, Elle received her BFA in choreography from Belhaven University where she was presented with The Bezalel Award for outstanding artistic achievement. Continuing her artistic career, Elle began presenting her own choreography at various Fringe Festivals, and was selected to be a choreographer for the National Choreography Intensive at Florida State University. 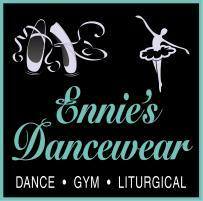 She then began dancing and choreographing with a local professional company, Front Porch Dance. 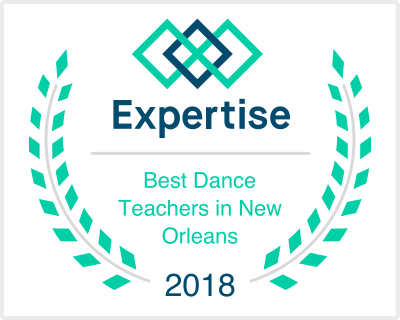 Since transplanting to New Orleans in 2016, Elle has been a teaching artist with the local nonprofit company Upturn Arts, among other local dance studios and organizations. She is now working with Artivism Dance Theatre, as a dancer, choreographer, and rehearsal director. Elle is also a company member of Melange Dance Company where she performs principle and featured roles. In August 2018, She became the director of a children’s dance company at the River Ridge School of Music and Dance. Among these endeavors, Elle continues to mount her own choreographic works, and will be presenting them at Cafe Istanbul, and The Art Klub in January of 2019.